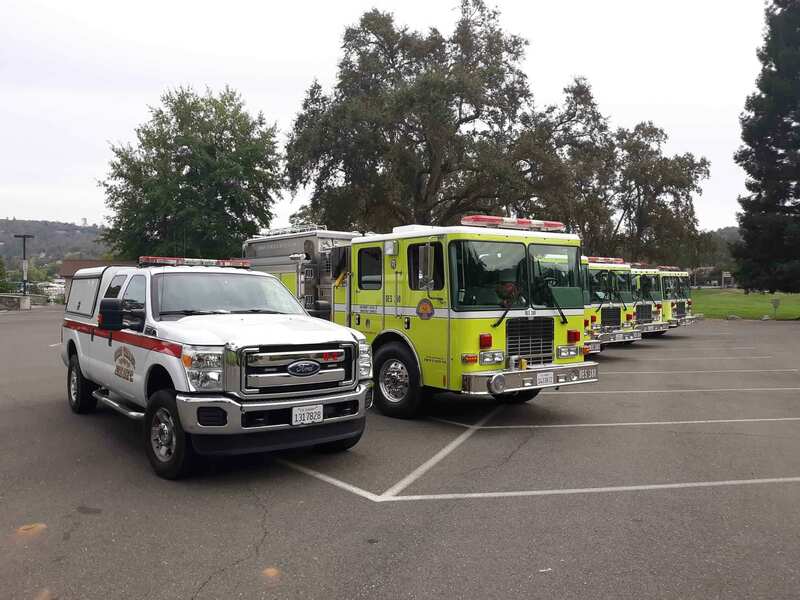 GRASS VALLEY, Calif. September 13, 2018 – On Tuesday, September 11th, Chief Good (Higgins Fire District) and Chief Buttron (Grass Valley Fire Department) with assistance from California Office of Emergency Services (OES) Region IV Chief Zander were successful in seeking approval of a prepositioned OES Engine Strike Team into Nevada County. Prepositioning of Strike Teams for known and forecasted wind events provides additional resources to augment local fire agencies should a fire occur. The State of California approved funding through the California Office of Emergency Services for the prepositioning program. The Strike Team of 5 OES Engines and 1 OES Water Tender along with a Strike Team Leader were deployed to the area around 7 p.m. The Strike Team was staged at the Gold Miners Inn in Grass Valley for use at any incident within the County. Length of deployment was evaluated every 12 hours by Cal OES based on weather factors including known and forecasted wind speeds, relative humidity, temperature, fuel moisture, and other components. Nevada County Consolidated OES Water Tender 42 , Grass Valley OES Engine 334 along with a Strike Team Leader from Grass Valley were assigned to the preposition Strike Team. 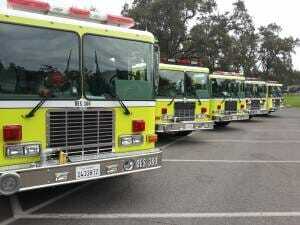 The Strike Team was demobilized this morning as fire weather conditions have stabilized. We are thankful to the other agencies who staffed OES engines to preposition into Nevada County. The participle task force will want to challenge the prepositions to a softball game.